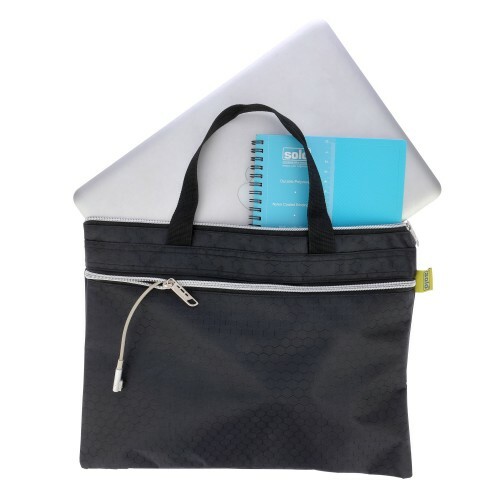 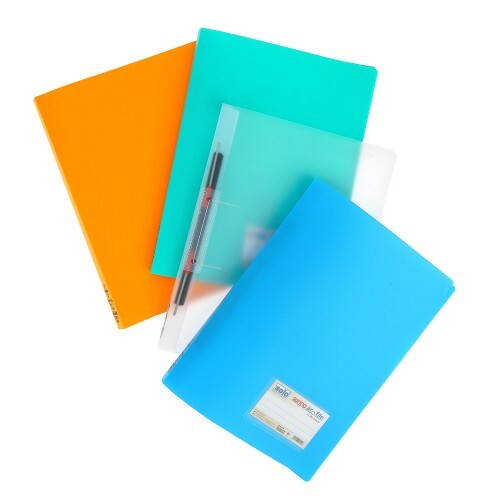 Solo office supplies are extensively used by students and professionals on a daily basis for various storage purposes. 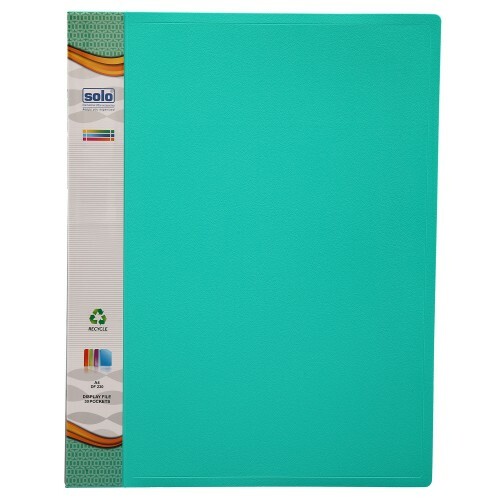 The Solo Clear Holder is available in A4 Size and various colors, which you can choose from. 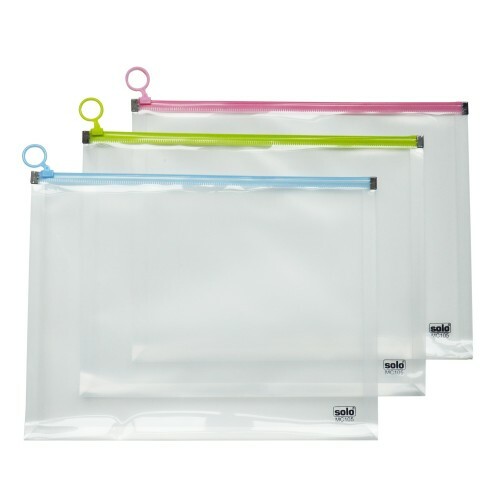 This Solo Clear Holder has a Non-Stick Polymer Recipe so that the sheets are prevented from sticking. 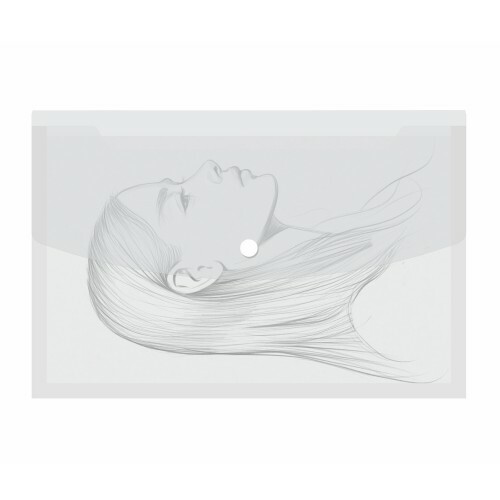 You can easily separate the flaps of this case as it has been designed with a special cut. 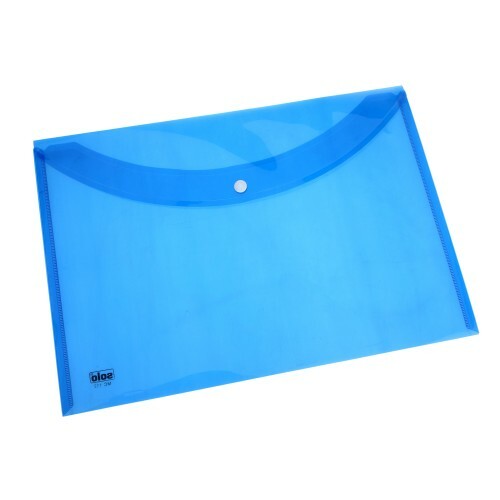 The paper edges are kept safe and intact and are prevented from getting soiled owing to the Extra Large Size of this Solo Clear Holder. 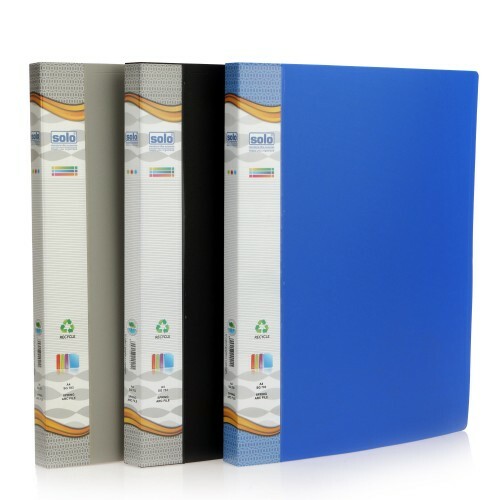 The edges are durable and will not tear easily as they are ultrasonically welded. 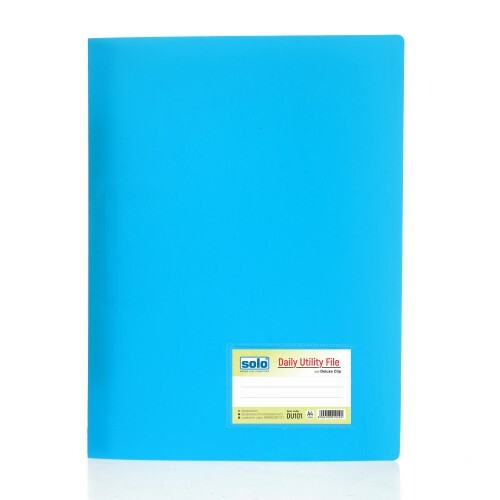 This Solo Clear Holder has a Stress Relieving Notch and a Folded Bottom, which facilitates it to store more papers in it. 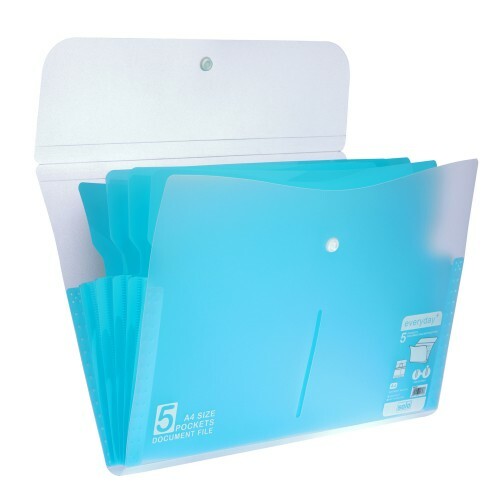 The commendable capacity of this Solo Clear Holder allows it to hold up to 30 Sheets at one time and makes it perfect for carrying your resume and important certificates. 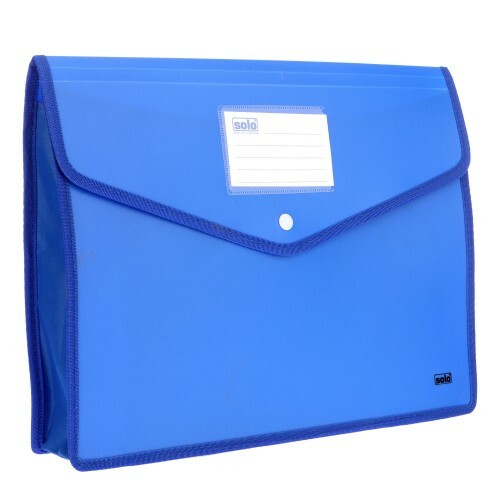 A Pack of 20 folders. 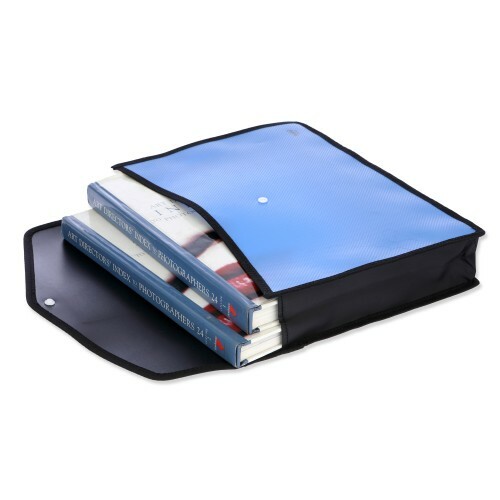 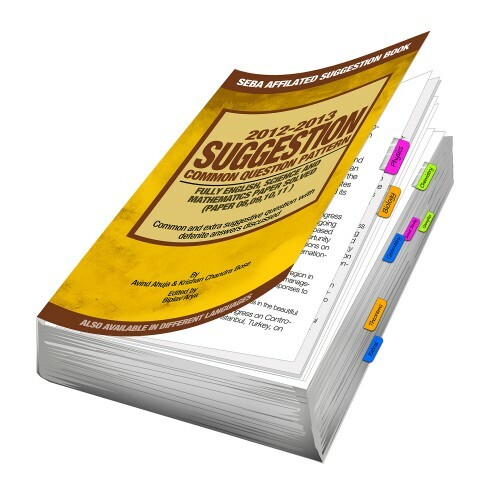 Flip open the right Chapter/page Directly.Non-tearing durable polymer tabs20 double sided tabsProduc.. 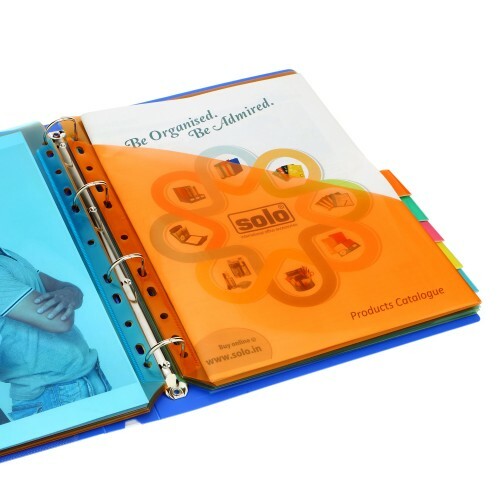 The Solo Display File can be used every day for presentation reference and storage of certificates, ..